First Growth Funds Limited (ASX:FGF) has announced it has invested US$285,000 for 25% equity in FutureICO Pty Ltd.
FutureICO is a platform that provides a secure and compliant platform for companies wanting to issue their tokens and digital currencies. It is a joint venture company founded by DigitalX Limited (ASX:DCC), Blockchain Global Limited and Big Start Pty Ltd. The platform has been in a research and development phase, with the new funding from FGF set to help launch the platform this financial year — subject to clearing all regulatory and compliance hurdles. “We see a big opportunity to invest in FutureICO to help us position for future growth in the cryptocurrency market,” Executive Director of FGF, Anoosh Manzoori. “Over the coming years we expect the cryptocurrency market to mature, undergo further regulatory changes and blockchain technology to go mainstream. 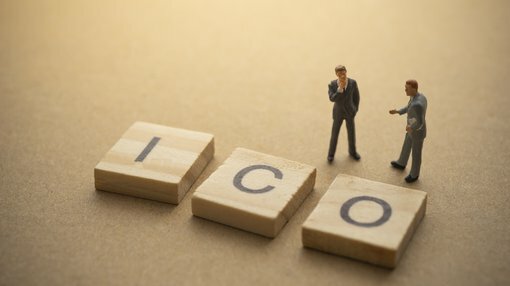 We want FutureICO to become the destination for compliant ICO opportunities that takes advantage of new and established companies looking to blockchain enable their businesses,” he said. As part of its investment, FGF will use the FutureICO platform to list its own investments that may provide distribution and liquidity for its digital currency assets. In addition, it will have access to other investment opportunities listed on the platform. FGF will also have the right to appoint a nominee to the board of FutureICO. Of course as with any stock, you should consider your personal circumstances before making an investment decision and seek professional financial advice if considering any of the stocks listed on this article for your portfolio. Earlier this month, FGF announced it will assist blockchain group HCash in investing up to $15 million in some of the most innovative companies on the ASX. HCash possesses its own unique blockchain tech similar to Bitcoin and Ethereum, possessing a market cap of $150m. Subject to regulatory approval, HCash will invest $15m of HCash digital currency in ASX listed companies. Under the terms of the placement there is no dilution or direct investment in FGF, instead the company will act as a broker and receive 6% or up to $900k in fees for facilitating the investments (FGF may also invest its own capital).